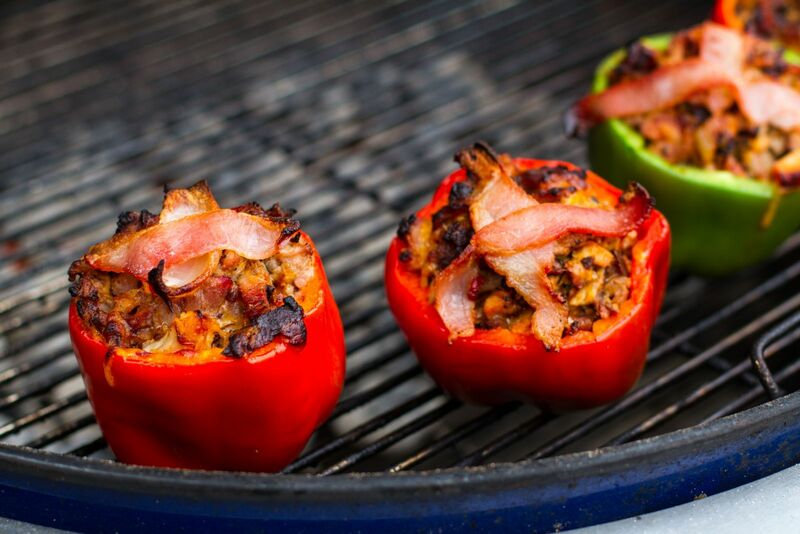 I have this thing for grilling food stuffed in other foods and by far, my favorite food to stuff and grill is a bell pepper. 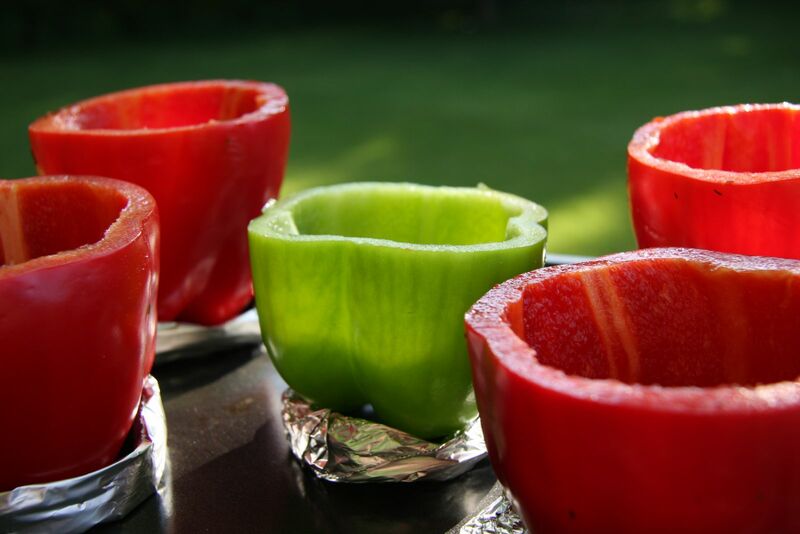 Rightfully so, bell peppers make a wonderful vessel for the grill. They are beautiful, sturdy, and most importantly, can hold a lot. 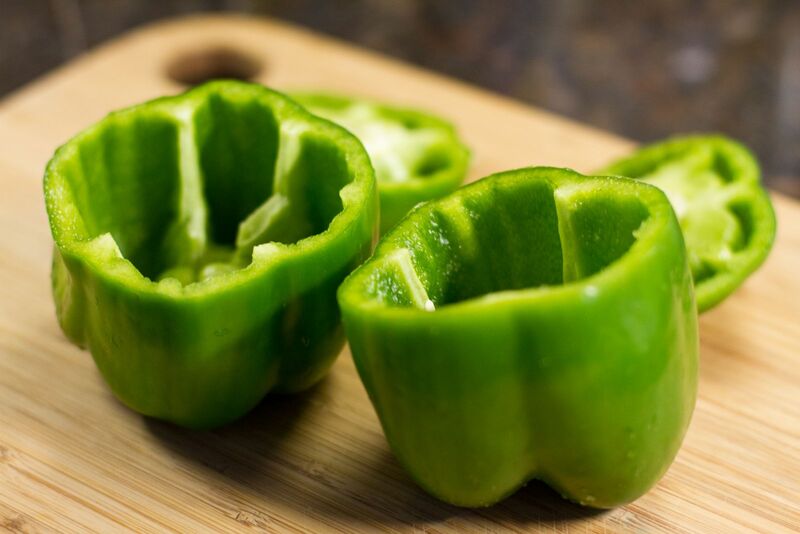 Before considering what the stuffing will be, the selection of a well-balanced pepper is paramount. Whenever I plan on using peppers for stuffing, I’m picky on my selection at the grocery. When shopping, it’s not uncommon for me to stand a pepper upright just to make sure it will stand up straight. Time-consuming at the store, yes, but the last thing I want to deal with is an unsteady pepper that drops its load down my grill grates. When stuffing, I cut off the very top of the pepper and remove the ribs and seeds. The best peppers are large and have a wide base. Stability is important. Stuffing room is an easy second. Fear not, as all is not lost. If you happen to pick up a “wonky” pepper which refuses to stand up, take a piece of aluminum foil approximately 6 inches long. Roll it up and then shape it into a ring. Wrap the foil ring around the base of the pepper and voila, a pepper that won’t fall down. While the options of what can go into a stuffed pepper are endless, I love to use leftover pulled pork. I know when I smoke a pork shoulder, I always have leftovers. There is no better way to make use of the them than by stuffing peppers. Add in some freshly grated sharp cheddar cheese, your favorite BBQ sauce, and bacon slices and you have a fast weeknight meal built on the spoils of your weekend BBQ. Typically, peppers take about 30 minutes on the grill under indirect medium heat. You now know my favorite pepper stuffing. What is yours?